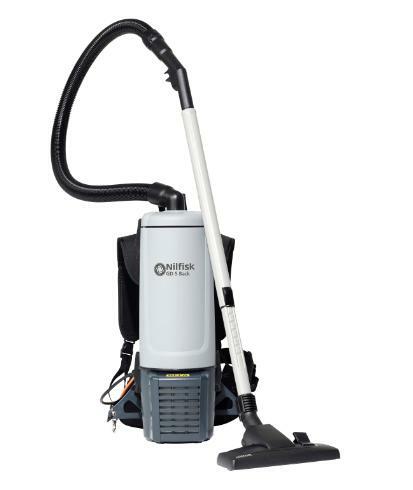 The Nilfisk GD 5/GD 10 backpack vacuums surpass all criteria, with technical advancement that shows in every Nilfisk product, making fast productive cleaning at a price that won’t bust your budget. There are many things that should be present in a good backpack vacuum cleaner. It should be light in weight, with even weight distribution, and the noise level must be as low as possible. Without these basics, a backpack vacuum cleaner is uncomfortable and impractical to operate. At the same time, the power needs to be sufficient for fast, effective cleaning, and the dust bag must be large enough to avoid constant changing. Above all, the cost of cleaning must be right!